Just how do you differentiate to meet the needs of our young gifted and advanced students? Here are some ideas and resources. I would love to hear how these work for your students. Any suggestions? Please let me know. 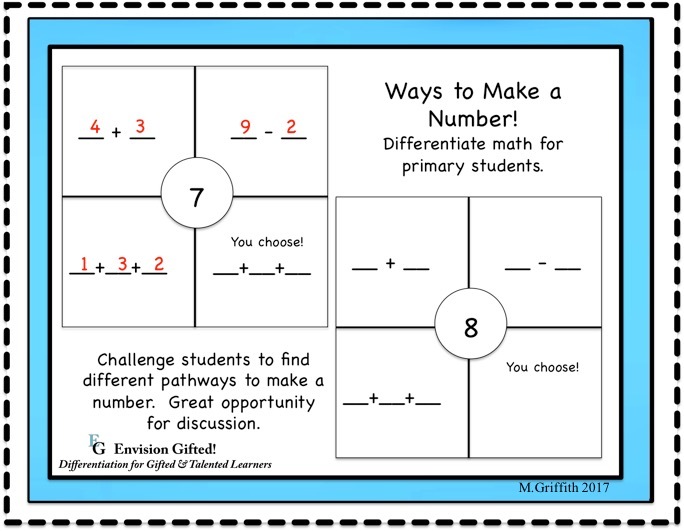 One way to differentiate math for our gifted and advanced primary students is to provide them with a framework like the one seen here. The number in the middle can be varied and selected by the teacher or the student. 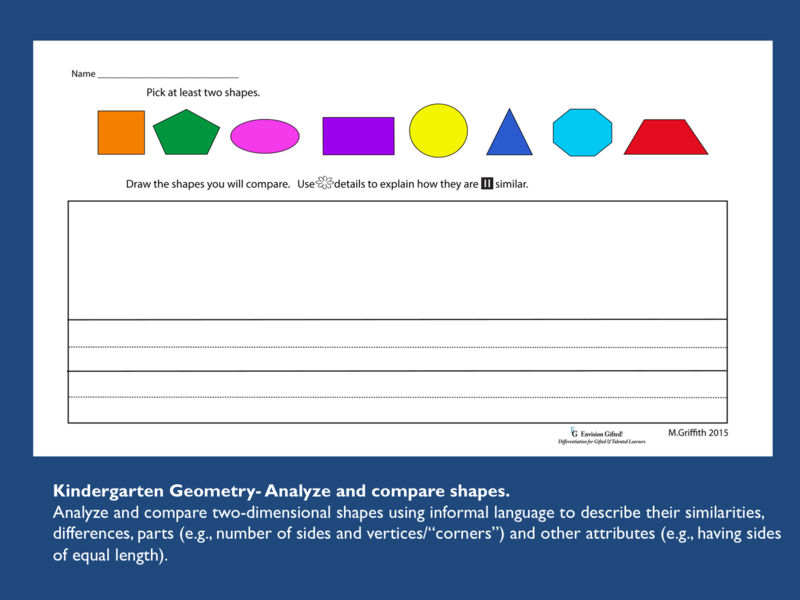 This activity provides a great opportunity for authentic math discussion. This can be further differentiated by changing the operations (add and subtract to multiply and divide). type of task they should not be doing tasks that only require them to identify. 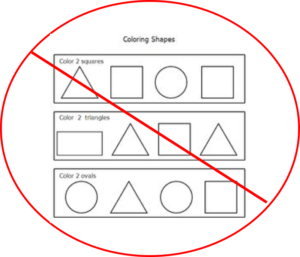 Consider the Kindergarten Math Standard- Identify and describe shapes (squares, circles, triangles, rectangles, hexagons, cubes, cones, cylinders, and spheres). 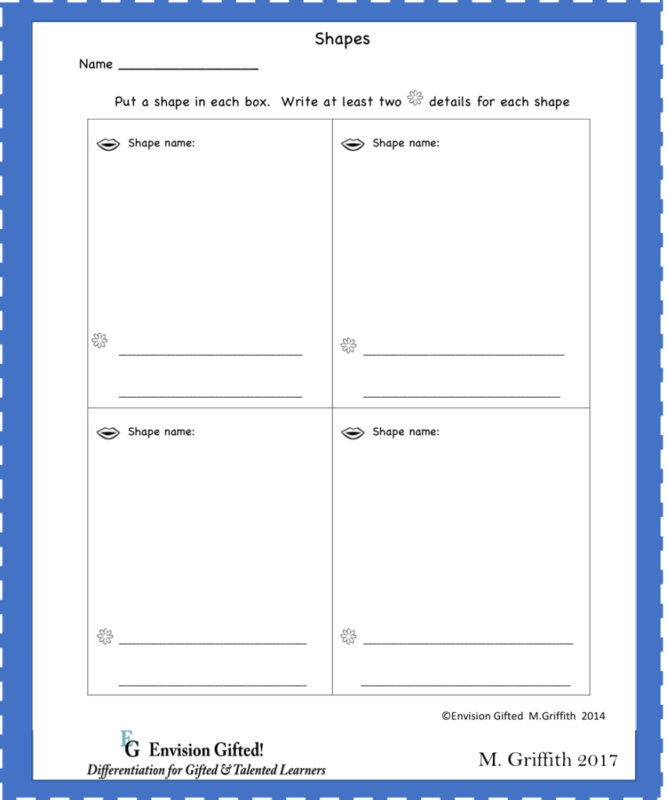 You can use the sheet to the left to pre-assess or to assign as a task.